CATHOLIC CHURCH OF ENGLAND & WALES. 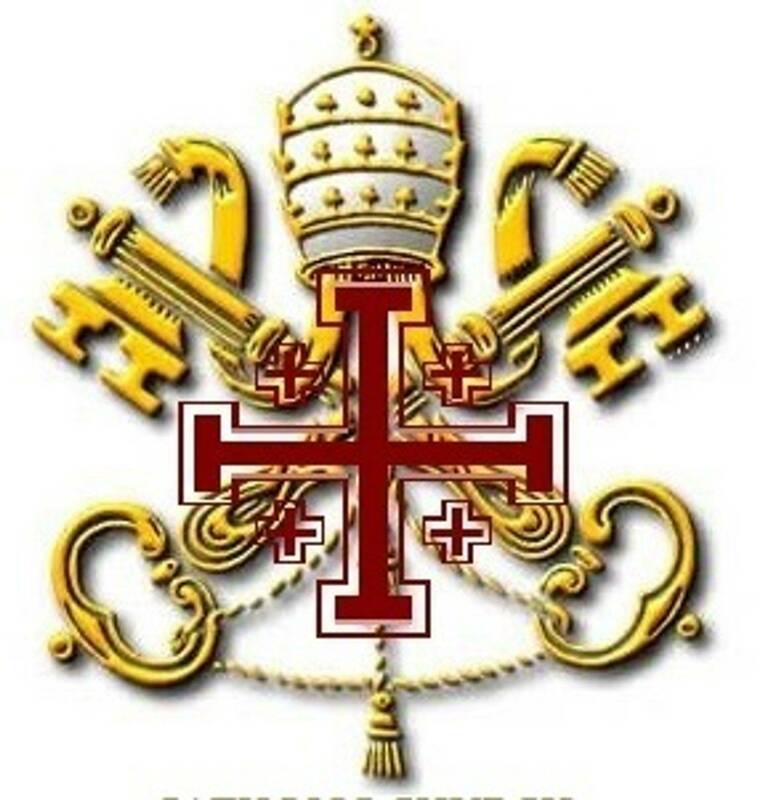 Founded by decree as a Sui Iuris Catholic Church by His Holiness, Patriarch Dom. Luis Fernando Castillo Mendez. The Tridentine Mass is a term used for Mass celebrated in Latin in accordance with the successive forms of the Roman Missal from its December 5 1570 promulgation by Pope Pius V, implementing a decision of the General Council, held in Trent, Italy. Tridentine is the adjectival form of Trent, through its repeated revisions by later Popes, especially in 1604, 1634, 1888, 1920, 1955 and 1962. Some exclude from the definition Pope John XXIII's 1962 revision, and all exclude that of 1970 by Pope Paul VI and subsequent revisions. Use of the successive Tridentine-form editions of the Roman Missal was obligatory for celebrating Mass in the Latin Rite Church for four centuries, except where a liturgical rite other than the Roman Rite was in use since before 1370. With the issuance of the 1970 edition of the Missal, the post-Tridentine form became the authorized form, but a few groups, parishes and individual priests have requested and obtained authorization to use the 1962 edition. However, some traditionalist Catholics deny the right of the Holy See to restrict use of Tridentine-form editions of the Roman Missal, and maintain that every priest may lawfully, without asking for any authorization, use such editions, even those issued before Pope John XXIII's 1962 revision and Pope Pius XII's of 1955. This is the state of this even as of today. We agree tht the Holy See has no right to restrict and or denie any priest and or bishop to use such a beautiful Mass. 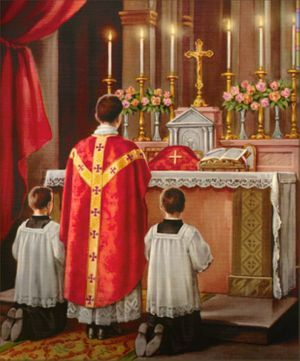 In addition to "Tridentine Mass," traditionalist Catholics use the terms "Ancient Mass," "Traditional Mass," etc., because Pope Pius V's revision of the Roman Missal had as one of its declared aims restoration of the Missal "to the original form and rite of the holy Fathers", an aim not in fact achieved (see Pre-Tridentine Mass). At the time of the Council of Trent, the traditions preserved in manuscript Missals and being spread because of the invention of printing varied considerably, and standardization was sought not only within individual dioceses, but throughout the Latin West. Pope St. Pius V accordingly imposed uniformity by law, exempting only rites of an antiquity greater than 200 years. Several of the rites that thus remained legitimate were progressively abandoned, though the Ambrosian rite survives strongly in Milan, Italy and neighbouring areas, stretching even into Switzerland, and the Mozarabic rite continues in much more limited fashion in Toledo and Madrid, Spain. The Carmelite, Carthusian and Dominican religious orders also kept their rites until the second half of the twentieth century, when they chose to adopt the Roman Rite, after this had been revised in accordance with the directives of the Second Vatican Council. The rite of Braga, Portugal seems also to have been abandoned. Standardization was also required to safeguard against introduction into the liturgy of notions linked with the religious revolution initiated by Martin Luther, whose opinions and those of other reformers made it necessary for the Council of Trent to set forth Catholic teaching on the Eucharist in three of its sessions. The present Roman Missal is, doubtless, a text that the Roman Rite will use for many years to come, while the Holy See has made provision also for those attached to the earlier form of the Roman Rite. The letter Quattuor abhinc annos of 3 October 1984 authorized for them celebration of Mass in accordance with the pre-1970 Roman Missal. 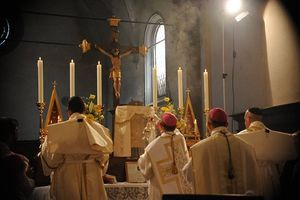 In his letter Ecclesia Dei of 2 July 1988, Pope John Paul II stated that “respect must everywhere be shown for the feelings of all those who are attached to the Latin liturgical tradition”. That this was a reference not only to the use of the Latin language but also to the pre-Vatican II form of the Roman liturgy is shown by his urging “a wide and generous application of the directives” in the 1984 document. Authorization for a priest to use the 1962 Missal can be granted either by the Holy See or by the local diocesan bishop. Such authorization has in fact been granted to a number of individual parishes and priests, and to several priestly societies. 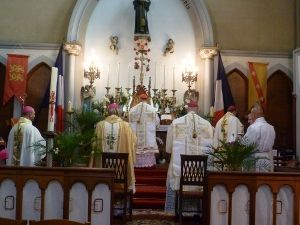 Not all diocesan bishops, however, have thought it appropriate to grant permission for the celebration of the Tridentine Mass . and still to this day many Vatican II bishops refuse to grant permission for their local priest and parishes to use and celebrate the Mass. On some occasions, the difficulty is that those seeking authorization openly accuse the Holy See of contradicting what the Church has always taught . We are one of many Catholic Societys throughout the world, who continue to celebrate the Tridentine Rite. A TRADITIONAL CHURCH IN A MODERN SOCIETY.